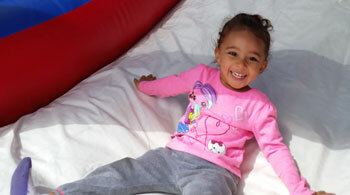 Birthday parties, kids and bounce houses are a perfect party combination. If you are planning a birthday party for that special boy or girl, Inflatable Event Professionals can help you make your party day special. In addition to the bounce house rentals, we also offer inflatable games, yard games, a piñata stand and concession machines. As a small, family owned and operated business we value our customers and want you to know that you can trust Inflatable Event Professionals to provide you with exceptional service. All our Bounce Houses have safety inspection permits issued by the State of Washington and proof of insurance is available upon request. Our staff will work together to provide you with a stress free and on time rental. Give Inflatable Event Professionals the opportunity to assist you with your party needs in Tacoma and the surrounding areas!